Eleven Burundian peacekeepers were killed in a two-man suicide assault on an African Union peacekeeping base in Mogadishu on February 22, 2009. Shaykh Mukhtar Robow “Abu Mansur,” the spokesman for Somalia’s radical Islamist al-Shabaab movement, claimed responsibility for the attacks shortly afterwards (Radio Garowe, February 22). Al-Shabaab has made extensive use of suicide attacks since 2006, a tactical innovation in Somalia. The bombings followed a communiqué issued earlier this month by leading al-Qaeda strategist Abu Yahya al-Libi that called for renewed attacks on AU peacekeepers in Somalia (As-Sahab Media Productions, February 13). Abu Yahya frequently provides advice or direction to al-Shabaab, urging them to reject all efforts at reconciliation, even with fellow Islamists deemed to lack sufficient enthusiasm for a relentless jihad against secularists, nationalists, and foreign troops (muslm.net, June 23, 2008). In turn, Abu Yahya has been praised by al-Shabaab leader Shaykh Ahmad Abi Godane and greeted in the martyrdom videos of Somali suicide bombers. [Concealed occupation] has been adapted by the West as a new method to control Muslim countries by flashing slogans like “Peacekeeping Forces” and others that belong to either the UN, the African Union, or other regional or international organizations. Therefore, you should continue to carry out your attacks on the Ugandan [and Burundian] forces that occupy your territory, so you would inflict them with what you have done to the crusader Ethiopian forces. Kill them everywhere you find them without distinction. Take them on, close in on them, and disable them through ambushes. Mali’s security forces appear to have broken the latest Tuareg rebellion in that country as a month-long offensive concludes with the seizure of all Tuareg bases in north Mali. The leader of the revolt, Ibrahim Ag Bahanga, is believed to have escaped across the border to Algeria, where he may try to regroup despite the loss of most of his fighters to amnesties or Malian military operations. Mali is eager to bring a series of Tuareg rebellions to an end to allow for more intensive oil exploration by Chinese and Australian firms already at work in northern Mali. The offensive followed a deadly raid by Ag Bahanga’s Alliance Touareg Nord-Mali (ATNM) forces on a military camp in northern Mali in December. 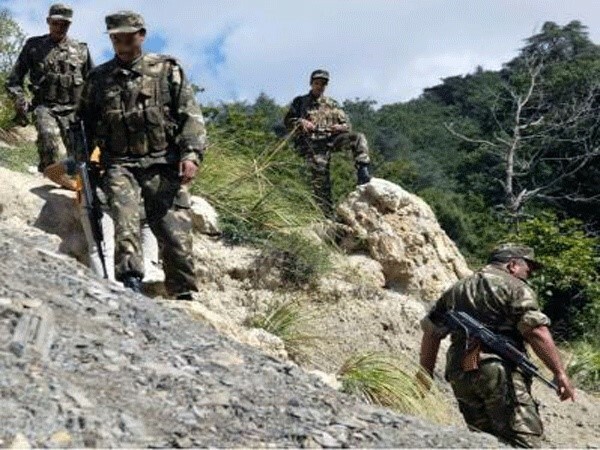 A rebel column led by Ag Bahanga is reported to have traveled 1,000 kilometers from its base near the Algerian border to attack the military garrison at Namapala. After the garrison repelled the first attack, a former rebel recently integrated into the army killed his platoon leader, leading to panic in the garrison forces. The second attack overran the camp, killing anywhere from 9 to 20 soldiers (Jeune Afrique, January 27). Afterwards, questions were raised as to how a Tuareg column was able to advance for a week undetected. Newsmagazine Jeune Afrique reported that the column was spotted by U.S. satellites, but the intelligence was not taken seriously in Bamako. Mali lost its own aerial reconnaissance capability when the Ukrainian pilots from its military helicopters returned home last April after one of the pilots was killed by rebel fire (Jeune Afrique, January 27). At least 30 rebels were killed during the government’s response, an offensive through the Gao and Kidal regions of north Mali that included a three-hour battle at Tin Essalek on January 19 (Le Malien [Bamako], January 22). A prisoner who later succumbed to his wounds was identified by the Malian press as Shaykh Abdul, a Lebanese mercenary (Le Malien, January 19). Ag Bahanga proclaimed, “Today, the only alternative offered to us is the counter-thrust and armed warfare” (El Khabar [Algiers], January 25). U.S. Special Forces training missions are based in Mali as part of the Trans-Sahara Counterterrorism Partnership, but there are no reports of direct U.S. involvement in the government offensive. The offensive was led by Colonel al-Hajj ag Gamou, a Tuareg, and Colonel Muhammad Ould Meïdou, an Arab from Timbuktu (L’Indépendant [Bamako], February 4). The combination of these two hardened officers with an intimate knowledge of northern Mali’s barren and inhospitable terrain shattered Ag Bahanga’s forces in a matter of weeks. At the risk of pitting Tuaregs against Arabs, Bamako has allowed Colonel Meïdou to assemble a force of several hundred Bérabiche Arabs for the work of eliminating Ag Bahanga’s rebels (Jeune Afrique, January 27). 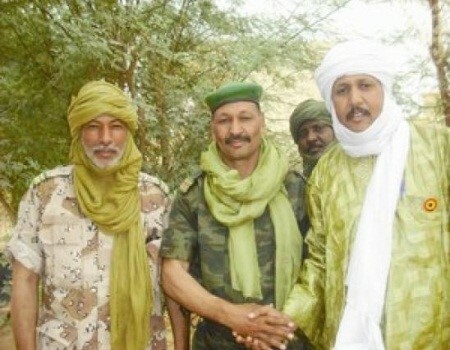 Hama Ag Sidahmed, an ATNM spokesman, alleged that Mali’s regular army has yielded its place to combined Arab-Tuareg militias designed to fight the Tuareg rebel movement (L’Indépendant [Bamako], February 4). The Bamako government is dominated by the southern Bambara, part of the larger West African Mande group. Security forces reported the capture of 22 rebels and quantities of vehicles, fuel, food, arms (including heavy machine guns), and ammunition as they swept through the Tuareg camps. A Malian government official claimed that “All the operational and logistical bases of the group of Ibrahim Ag Bahanga have been taken and are under the control of our army and security forces” (Independent, February 11; L’Essor [Bamako], February 11). A spokesman for Ag Bahanga later denied in an interview that any rebel bases had been captured, claiming that the only bases taken by the military belonged to Algerian traders (BBC, February 11). Ag Bahanga’s main base was at Tinzaoutin, close to the Algerian border. Other bases were located at Tin Assalek, Abeïbara, Boureïssa, and Inerdjane (L’Essor, February 11). From these locations his men took scores of soldiers hostage and planted land mines on routes likely to be used by the military. Ag Bahanga has repeatedly rejected participation in the Algerian-brokered peace talks that have brought most Tuareg rebels back into the national fold. Under pressure from the military offensive, Ag Bahanga had a sudden change of heart and appealed to Bamako and Algiers to reopen the peace process, but Mali’s government has run out of patience with Ag Bahanga and clearly stated there would be no further negotiations (El Watan [Algiers], February 12; L’Indépendant, February 4). The government in Bamako described Ag Bahanga’s appeal as a typical delaying tactic employed whenever things began to turn badly for the rebel leader (Afrol News, February 5). The last of Ag Bahanga’s hostages were released on January 25, 2009, after mediation from Libya and Algeria (Afrique en ligne, January 26). The July 2006 Algiers agreement calls for greater development efforts in the northern regions of Gao, Timbuktu, and Kidal on the part of the national government in return for Tuareg rebels abandoning their demands for regional autonomy. A key part of the negotiations focused on the creation of mixed security units of former rebels and government troops to keep order in the north. Ag Bahanga’s rapidly diminishing group of rebels appears to have little public support in the region, possibly confirming speculation that the ATNM is only a front for Ag Bahanga’s smuggling activities (Le Malien, January 22; BBC, November 5, 2007). On February 6, a Malian army officer spoke to the French press from the remote northern region, stating that Ag Bahanga was “no longer on Malian territory” (AFP, February 6). Algerian officials monitoring implementation of the Algiers agreement confirmed Malian reports that Ag Bahanga had crossed into Algeria with Malian troops in a pursuit as far as the border (Ennahar [Algiers], February 6). As the government offensive continued, ATNM fighters and members of Ag Bahanga’s own family began to pour into camps where former members of the dominant Tuareg rebel group, The Alliance for Democracy and Change (ADC), were gathering for a disarmament ceremony in the town of Kidal rather than follow Ag Bahanga across the frontier (Radio France Internationale, February 12). One of the leaders of those seeking reconciliation with the government is Lieutenant Colonel Hassan Ag Fagaga, who twice deserted the army to join his rebel cousin, Ag Bahanga (L’Essor, September 18, 2007). The Ag Bahanga rebellion is the latest in a series of Tuareg uprisings in Mali and Niger since those countries gained independence from France in the 1960s. In a promising sign of surrender, nearly 600 former rebels met with authorities in Kidal on February 17 to lay down their weapons and return arms and vehicles seized from government forces (Elkhabar, February 17). The Tuareg rebellion has been exhausted for now, but continuing oil exploration on Tuareg lands in northern Mali promises to provide a new point of contention between the vastly different peoples of northern and southern Mali. Despite Pakistani claims to have killed al-Qaeda’s commander in Afghanistan last summer, the veteran Egyptian militant Mustafa Ahmad “Abu al-Yazid” (a.k.a. Shaykh Said al-Misri) appeared in a 20-minute video last week threatening India with a repetition of last November’s terrorist outrage in Mumbai. Al-Yazid spoke of the shame India endured through its inability to contain the Mumbai attack and warned India that it could expect more of the same if it dared to attack Pakistan: “India should know that it will have to pay a heavy price if it attacks Pakistan… The mujahideen will sunder your armies into the ground, like they did to the Russians in Afghanistan. They will target your economic centers and raze them to the ground” (Press Trust of India, February 10; BBC, February 10). 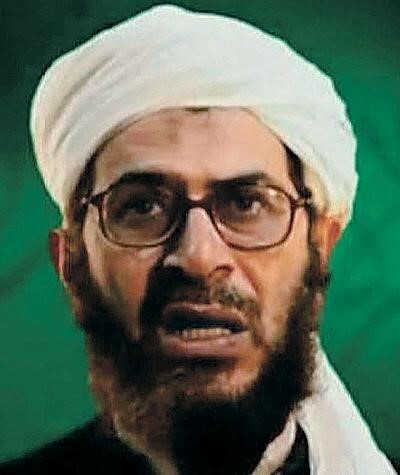 Lest anyone think the al-Qaeda commander was in league with Pakistan’s government, al-Yazid urged the masses of Pakistan to overthrow the government of President Asif Ali Zardari and declared that former president Benazir Bhutto was assassinated on the order of al-Qaeda leader Dr. Ayman al-Zawahiri. Abu al-Yazid is a former member of al-Zawahiri’s Egyptian Islamic Jihad group and served several years in prison before leaving Egypt for Afghanistan in 1988. Already under an Egyptian death sentence issued in absentia for terrorist activities in that country, Abu al-Yazid spent two years in Iraq before being appointed leader of al-Qaeda forces in Afghanistan in May 2007. The 54-year-old appears to be primarily a financial and logistical manager for jihad activities (in the original intention of al-Qaeda) rather than a military leader. Reports of Abu al-Yazid’s death in an August 12, 2008, Pakistani airstrike were carried widely in the international press at the time, though Pakistani authorities offered no evidence for their claim. 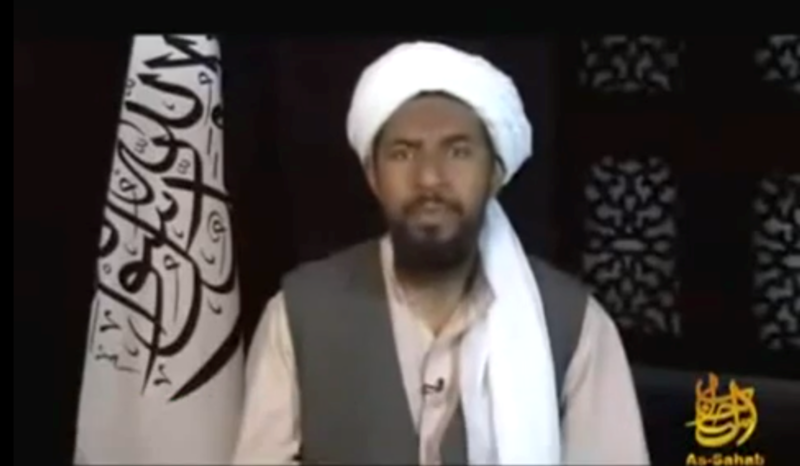 A spokesman for the Tehrik-e-Taliban Pakistan (TTP) denied the reports of Abu al-Yazid’s death (AFP, August 11). Al-Gama’a al-Islamiya (GI – The Islamic Group), once one of Egypt’s most feared Islamist terrorist organizations, has issued a statement urging al-Qaeda to observe a ceasefire to better assess the intentions of the new Obama administration in Washington (Al-Sharq al-Awsat, January 24). GI has observed its own ceasefire agreement with the Egyptian government since March 1999. The agreement followed a number of spectacular terrorist attacks by the group, such as the 1997 Luxor attack that killed 58 tourists and four Egyptians. These attacks, however, only succeeded in alienating the movement from public support. The targeting of tourists and the tourism infrastructure proved highly unpopular in a nation that relies heavily on revenues from these sources (up to $4 billion per year in much-needed foreign currency). The group’s often pointless attacks on Egypt’s large Coptic Christian community inflamed sectarian divisions within the country while doing little to further the Islamist cause. In August 2006, al-Qaeda’s second-in-command, Egyptian national Ayman al-Zawahiri, announced the merger of GI with al-Qaeda, but this development was immediately denied by JI leaders within Egypt (Al-Sharq al-Awsat, August 14, 2006). Shaykh Najih rejected a call from al-Qaeda strategist Abu Yahya al-Libi for immediate attacks on Britain and other Western nations as retaliation for the Israeli assault on Gaza: “We fear that the al-Qaeda organization might carry out operations that will turn Obama into another George Bush and turn the good [in President Obama’s stated intention to withdraw U.S. forces from Iraq and close Guantanamo Bay], albeit small, into evil from which only Israel will benefit” (Al-Arabiya TV [Dubai], January 23; Al-Sharq al-Awsat, January 24). Isam al-Din Darbalah, a long-time GI leader, also issued a statement addressed to all levels of al-Qaeda’s leadership and membership. Noting that President Obama appears ready to abandon “Bush’s dead-end and crazy path,” Isam al-Din urged a four-month ceasefire designed to test American intentions: “Say [to the Western states] without fear: ‘We will not start fighting you in the next four months, unless in self-defense, awaiting fair and practical stands on the part of Obama. We welcome a peace based on respect for the Islamic identity and our peoples’ right to live independently under their creed and shari’a and on the basis of common interests with America and the world for the good of humanity, away from the conflict of cultures. '” While still in prison, Isam al-Din collaborated with Najih Ibrahim and several other imprisoned JI leaders in a reassessment of religious extremism entitled “Correcting Concepts.” He later contributed to a book-length study of al-Qaeda’s strategy that criticized the group for a flawed understanding of reality and the capabilities of the Muslim nation. In March 2005, an earlier 2004 UN arms embargo on non-government forces in the Darfur conflict was expanded by the UN Security Council to include the Sudan government. Russia approved the passage of UN Resolution 1591, which bans the transfer of weapons to Darfur without the Security Council’s permission. What is poorly understood is that Khartoum is still allowed to purchase all the arms it wants if the arms are designated for use outside of Darfur. Though deployment of new military equipment to Darfur must be approved by a UN committee on Sudan sanctions, Khartoum’s disregard for this provision has left a giant hole in the arms embargo. Commenting on reports that Russia had transferred 33 military aircraft to Sudan since 2004, David Miliband the UK Secretary of State for Foreign and Commonwealth Affairs noted the limitations of the UN embargo; “The UK continues to request that the UN extend its arms embargo on Darfur to all of Sudan, but not all Security Council members agree” (UK House of Commons, Hansard, November 6, 2008). One of the issues Russia’s new envoy must be dealing with is Khartoum’s concerns over Russia’s role in providing arms to South Sudan’s Sudanese People’s Liberation Army (SPLA) – arms that will almost certainly be used against government forces if fighting resumes between the South and the military-Islamist government in Khartoum. The Juba-based Government of South Sudan is building one of the largest armies in Africa with its share of Sudan’s oil revenues and may soon be in the market for its own jet fighters. The 2005 Comprehensive Peace Agreement between north and south Sudan forbids either side from making major arms purchases without permission from a Joint Defense Board, though this provision is widely ignored by both sides (Anyuak Media, January 10). The recently released Ukrainian cargo-ship, MV Faina, seized by Somali pirates in September, held 33 Russian-designed T-72 battle tanks and a substantial cargo of grenade launchers, anti-aircraft guns, small arms and ammunition believed to be on their way to landlocked South Sudan via Mombasa. The ship was released on February 5 after the payment of a reported ransom of $3.2 million, a fraction of the $35 million originally demanded (RIA Novosti, February 5). The American destroyer Mason and ocean tug Catawba provided the ship with fuel, water and humanitarian assistance as it proceeded to Mombasa, a transit point for arms shipments to South Sudan (Navy News, February 6). Unlike earlier arms shipments to South Sudan through Kenya that attracted little attention, the destination of the tanks and other arms will be closely watched by a host of interested parties. Both Ukrainian intelligence and Kenya’s Defense Ministry insist the arms are destined for the Kenyan army, even though it does not use any Russian-designed equipment and has no training on Russian-designed equipment (Daily Nation [Nairobi], September 29, 2008). The ship’s manifest, released by the pirates, indicated the end recipient of the cargo was “GOSS,” the usual acronym for the Government of South Sudan. The so-called production of arms using Soviet designs and equipment, a Soviet-trained workforce and Soviet-made weapons repainted to look like new is typical in the defense industry today. This keeps production costs low and profits high, while the veil of secrecy surrounding the arms trade allows firms to avoid taxes almost entirely… There is hardly a local war or conflict in the world where Russian arms are not extensively employed because they are reliable, relatively cheap and often specifically designed in the Soviet era for use by poorly trained and educated conscript soldiers (Moscow Times, July 27, 2004). The presence of conflicts naturally leads to a demand for armaments, with the priority on the fastest possible delivery of low-cost weapons, especially those that are simple to use and maintain and which have been either used by the army in question or which could be supplied along with personnel from abroad to maintain the equipment. These factors encourage repeat purchases from the same suppliers (Moscow Defense Brief 4 (14), 2008). Though China is frequently criticized for its arms shipments to Sudan, Russia has more quietly become Khartoum’s major arms supplier, an activity in which it has been joined by former Soviet states such as Belarus and Ukraine. A SIPRI report based on its Arms Transfers Database stated that Russia had accounted for 87 percent of Sudan’s major conventional weapons purchases in the period 2003-2007, while China was responsible for only eight percent (www.sipri.org/content/<wbr></wbr>armstrad/2008/04/01). In a sense, it is a return for the Russians -the Soviet Union dominated the Sudanese market for military equipment after the left-leaning Revolutionary Command Council led by General Ja’afar Muhammad Nimeiri took power in May 1969 and began a massive expansion of the Sudanese military. The Soviets supplied armor, artillery, MiG-21 fighters, Antonov cargo planes and various military helicopters as well as Soviet technicians and trainers. By 1971, however, Nimeiri was purging communists from the government and banning communist-affiliated trade unions and professional associations. The Sudanese Communist Party responded with a violent three-day coup attempt in July, 1971 that ultimately failed when troops loyal to Nimeiri rallied for a counter-attack. Suspicions of Soviet involvement brought a swift deterioration in Soviet-Sudanese relations. When the Soviets backed the 1977 Marxist military coup in Sudan’s rival, Ethiopia, the remaining Soviet military advisors in Sudan were expelled and Khartoum turned to a new supplier, the United States. In 2006, the Russian press reported that Sudan was seeking not only new Russian arms, but also a $1 billion long-term loan to help pay for them. The request did not receive a warm response in Moscow, where memories are still fresh of the write-offs of billions in debt incurred by African nations purchasing arms on credit in the 1970s and 1980s (Kommersant, October 20, 2006). The Sudanese army operates over 200 Russian-model T54 and T55 battle tanks, obtained from Russia, Belarus and Poland (the latter through a secondary sale by Yemen, which acts as a kind of arms bazaar for the region). The tanks are obsolete in the European context, but are still useful for providing fire support to infantry operations in Sudan. Khartoum, however, has switched to Chinese-made battle tanks and apparently intends to look to China for most future purchases of armor. Sudan has also purchased as many as 60 Soviet-designed BTR-80A armored personnel carriers from Russia in recent years. In July 2008, International Criminal Courts (ICC) prosecutor Luis Moreno-Ocampo charged Sudanese President Omar al-Bashir with various counts of genocide, crimes against humanity and murder. The ICC is still reviewing the charges, which will likely go forward unless there is intervention at the UN Security Council level, most likely from China or Russia. With ongoing sanctions, international disapproval and possible war crimes charges pending against the Sudanese president, Moscow is well aware the Khartoum regime is looking for allies, especially ones with a presence on the UN Security Council. Russia has not yet announced its position on trying al-Bashir in the ICC, but has hinted it may be willing to support a deferral of the charges (Sudan Tribune, January 31). Supported by new-found wealth from its own immense oil industry, Russia’s new engagement with Sudan is an expression of Russia’s new confidence and apparent eagerness to pursue an aggressive and exclusive foreign policy. Sudan, of course, is not the only African nation to purchase large quantities of Russian arms, but it is a vast, strategically important, resource-rich nation with minimal American presence or influence. As such, it represents an important gateway for Russia to rebuild its once-formidable stature and presence in Africa. Flush with petrodollars and beset by regional insurgencies and a possible resumption of the North-South civil war, Khartoum has become an important consumer of foreign arms despite a widely ignored international embargo. The Sudanese military is embarking on a massive modernization campaign and appears to have found a willing partner in Russia, which seeks to extend its influence in Africa and find new customers for Russia’s active arms industry as sales to China drop off dramatically. China has also become Russia’s main competition in arms sales to Africa and is frequently able to supply Chinese-built Russian-designs for significantly less than Russia’s arms industry. Aside from arms shipments, Russian trade and investment in Sudan is minimal – part of the ongoing legacy of the Cold War and the Soviet Union’s often heavy-handed approach to Africa. A failed coup attempt by the Sudanese Communist Party in 1971 that led to the execution of most of the party’s leadership and the Soviet occupation of Muslim Afghanistan in the 1980s left a climate of strained relations between the two countries. Relations have improved recently as Moscow joined China in opposing the deployment of UN peacekeepers to Darfur. One sign of the importance Moscow now places on its relations with Sudan was the Russian president Dmitry Medvedev’s appointment last December of a special envoy to Khartoum, Mikhail Margilov, head of the Russian Federation Council’s foreign affairs committee. Margilov has stated Russia must re-establish its presence in Sudan and Africa by being an active participant in conflict resolution (RIA Novosti, December 8, 2008). The new envoy has already made visits to Darfur and the southern capital of Juba (Sudan Tribune, January 31). Following a meeting with Sudanese President Omar al-Bashir, Margilov announced Moscow’s intention to sponsor an international conference on Darfur later this year “to review the positive developments in Darfur.” Margilov did not elaborate on the nature of these “positive developments,” but added that Russia is now “actively engaged on Sudan issues and wants to play an active role in the UN Security Council (UNSC), Africa and in world affairs” (SUNA, January 30). Last November, Sudan’s Defense Minister, Abdul Rahim Muhammad Hussein, confirmed the sale of 12 Russian MiG-29 fighter jets to Sudan (RIA Novosti, November 14; AFP, November 14). Foreign Minister Hussein rejected American criticism of the sale, “It is not for the U.S. to determine what our priorities should be. We know what our country needs” (Sudan Tribune, November 16, 2008). The Sudanese Defense Minister was in Moscow at the time, where he also invited Russian oil companies to invest in Sudan (Sudan Tribune, December 22, 2008). So far, Russia’s only interaction with Sudan’s growing energy sector came in 2002, when the Russian-Belarusian oil company Slavneft signed a $126 million production-sharing agreement with Sudan for oil exploration, but the project later fell through (Pravda, January 18, 2002). Since then, Sudan’s oil industry has been dominated by oil firms from China, Malaysia and India, but Russia is interested in exporting its oil operations expertise (Russia is the world’s second-largest oil producer). Russia has successfully cornered the Sudanese market for modern warplanes. In 2001, Russia signed a $120 million deal with Sudan to supply ten MiG-28SE fighters and two MiG-29UB (a dual-seat trainer), which were delivered by 2003-2004 (Kommersant, August 16, 2006). The United States opposes all arms transfers to Sudan, which is a state sponsor of terrorism. Any transfer of lethal military equipment to state sponsors of terrorism is sanctionable under U.S. laws. In addition to U.S. law regarding lethal military equipment transfers to state sponsors of terrorism, the current crisis in Darfur, particularly the continuing violence, is cause for strong opposition to any transfers to Sudan (U.S. Dept. of State, Office of the Spokesman, July 22, 2004). It is thought the fighters came from a stock of 200 MiG-29s kept at the MiG assembly plant at Lukhovtsy since the collapse of the Soviet Union in 1991. Russia was trying to sell these surplus fighters to Algeria and Yemen as well (Moscow Times, July 27, 2004). Fourteen MiG-29 Fulcrums were supplied to Sudan in 2006, along with Russian trainers, who are rumored to have also flown combat missions against the Darfur rebels. A former Russian air-force pilot was killed when his MiG-29 was shot down on May 10, 2008 during an attack on Omdurman by rebels belonging to Darfur’s Justice and Equality Movement (JEM) (Echo Moskvy, May 28, 2008; Interfax, May 29, 2008; Sudan Tribune, May 29, 2008). A Khartoum newspaper, Alwan, was closed by authorities after reporting the loss of the Russian aircraft and pilot. Alwan‘s editor was charged with disclosing “sensitive military information harmful to the country’s security and its accomplishments” (Sudanese Media Center, May 14, 2008; Sudan Tribune, May 16, 2008). There have been reports of Sudanese fighter pilots who (like most of the military) hail from Darfur refusing to carry out missions against the Darfur rebels, creating an urgent need for experienced pilots in the Sudanese air-force (Sudan Tribune, May 30, 2008). In July 2008, 12 MiG-29 Fulcrum jet fighters were reported to have been shipped either from or through Belarus in cargo planes to a military airbase north of Khartoum (Sudan Tribune, July 21, 2008; RIA Novosti, July 21, 2008). Russia’s state arms exporter Rosoboronexport denied supplying the MiG-29s “either directly or indirectly” (Moscow Times, July 23, 2008). A spokesman for the Belarus Ministry of Defense described the reports as a “hoax,” adding; “I do not see a point in commenting on stupidity (Pravda, July 21, 2008). Most of Sudan’s MiGs are based at Wadi Sayidna military airport, just north of Khartoum. 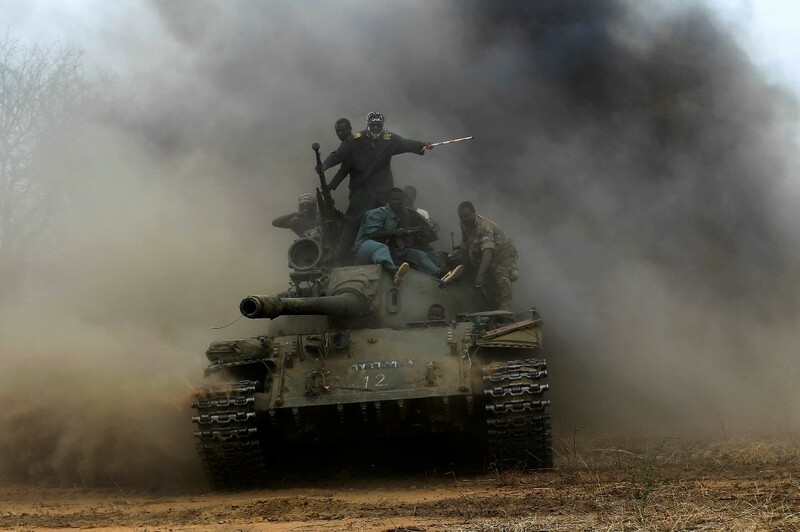 JEM rebels reported attacking the airbase on their way to Omdurman last May, seizing a large quantity of modern arms (Sudan Tribune, May 11, 2008). The Sudanese Air Force is eager to phase out its half-dozen decrepit Soviet-era Antonov AN-24 and AN-26 transport aircraft, which it has used as modified bombers in South Sudan and Darfur by rolling “barrel bombs” out the cargo door. Many other Soviet-supplied aircraft are at least 40 years old and no longer fit to operate in Sudan’s difficult conditions. A number of Russian-made MiG-23BN fighter-bombers obtained as Libyan surplus have been phased out of service (Kommersant, August 16, 2006). Russia has the advantage of supplying aircraft that are modern but familiar to Sudanese pilots. Khartoum’s main interest is in ground-attack aircraft, the only use Sudanese warplanes have ever received. Russia has also supplied Mi-17 and Mi-24 helicopter gunships to replace Sudan’s ancient Soviet-era Mi-4 and Mi-8 helicopters. Several of these have been spotted in use in Darfur despite being delivered after the UN arms embargo on Darfur. Sudanese military helicopter pilots are trained under contract at the helicopter training center in the Russian town of Torzhok (Tver Oblast). Russian and Ukrainian crews also operate most of the commercial aircraft in use in Sudan today. In 2005, Antonov opened a large technical maintenance center in Khartoum for the Antonov aircraft already in operation in Sudan and expected new purchases of AN-74s, designed for operation in hot climates (National Radio Company of Ukraine, November 18, 2005). Is al-Qaeda in the Islamic Maghreb Testing Biological Weapons? Rumors of a plague outbreak among al-Qaeda in the Islamic Maghreb (AQIM) members in the caves of Algeria’s eastern Tizi Ouzou province first appeared in Algiers’ Arabic language Ech Chorouk el-Youmi newspaper on January 6. The story gathered little attention until a new version was published by London tabloid The Sun on January 19, 2009, under the sensational heading: “Anti-Terror bosses last night hailed their latest ally in the war on terror – the BLACK DEATH.” The article went on to describe how “At least 40 al-Qaeda fanatics died horribly after being struck down with the disease that devastated Europe in the Middle Ages.” The AQIM unit, based in caves of the coastal Tizi Ouzou province, “was forced to turn its shelters in the Yakouren forest into mass graves and flee,” with AQIM leaders fearing the survivors would surrender to “escape a horrible death” (The Sun [London], January 19). Various news agencies quickly found “experts” who were willing to speculate on AQIM’s alleged experimentation with biological weapons. Asian News International (ANI) quoted “a leading expert on chemical warfare” who suggested that, instead of bombs, terrorists could send people with infectious diseases walking through cities (ANI, January 20). 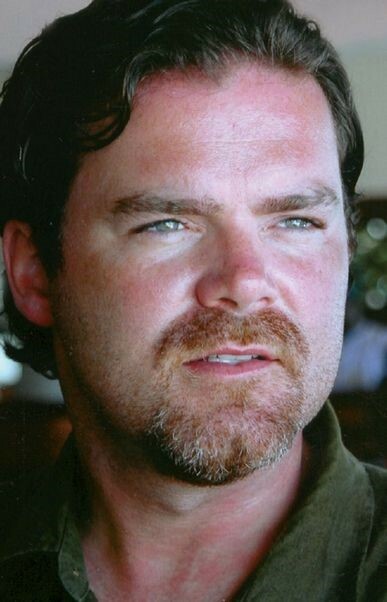 A Washington Times story cited an anonymous “senior U.S. intelligence official” who claimed a mishap during the development of biological weapons forced AQIM to close their Tizi Ouzou base, based on an intercepted (but undisclosed) message sent from Algeria to al-Qaeda leadership in the Afghanistan/Pakistan border region (Washington Times, January 19). The story then went on to use then-Secretary of State Colin Powell’s long-discredited testimony before the United Nations as “proof” of al-Qaeda’s development of biological and chemical weapons. Other anonymous sources were cited as saying that al-Qaeda was worried the plague could spread to their personnel in Afghanistan and Pakistan (UPI, January 19). A new twist on the story suggested the outbreak may have occurred after Algerian security forces used a biological weapon against AQIM’s Tizi Ouzou base (al-Arabiya, January 26). 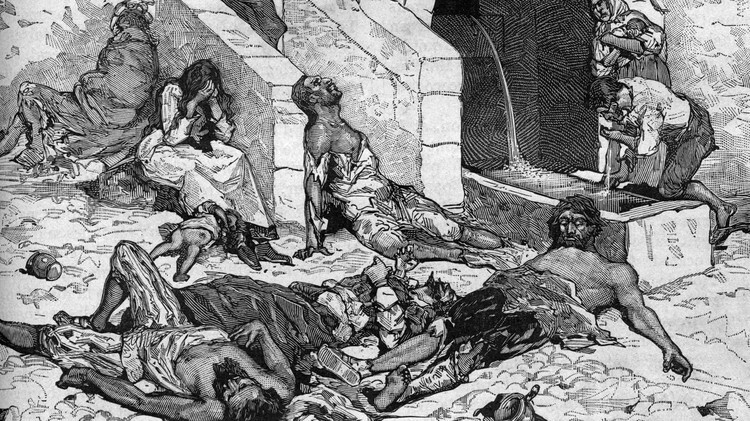 Dr. Saada Chougrani, an expert on infectious diseases with the University of Oran, stated that the rumors of plague in Tizi Ouzou were not taken seriously by Algerian health professionals, including the Laboratory for the Plague of the Pasteur Institute in Oran and the medical bacteriology laboratory in Algiers (ProMED [International Society for Infectious Diseases], January 21). Anis Rahmani, an Algerian security expert, noted that AQIM had trouble making explosives from fertilizer – the complicated and expensive process of weaponizing plague bacteria was far beyond the capability of the cave-dwelling insurgents (al-Arabiya, January 26). On January 6, 2009, several journalists wrote reports, based upon information they had received from their bosses in the Algerian intelligence bureaus, about dozens of mujahideen who died from contracting the plague. According to their claims, this disease was spread throughout the ranks of al-Qaeda organization and that it will soon cause the collapse of this organization! (…) We wanted to announce that there was no truth to these rumors… We don’t know anything about this so-called plague, because it never happened – other than perhaps in the minds and hearts of those collaborators who falsely carry the title of ‘journalists (Tout sur l’Algerie, January 26; NEFA Foundation, January 28). It is not impossible for AQIM to have experienced an outbreak of plague or another infectious disease in their rural camps (where conditions are similar to those experienced by the victims of the 2003 plague outbreak near Oran), but the very fact that no legitimate case has been reported suggests that this reported outbreak is unlikely. AQIM, like any militant group, does not exist in complete isolation – there are contacts with local farmers to obtain food, messengers to communicate with other AQIM sections, etc. Despite this, the epidemic does not seem to have spread (if indeed it ever existed). What can certainly be discounted is the possibility of AQIM conducting experiments in weaponizing the plague or other infectious diseases in their remote mountain hideouts. E. Bertherat, S.Bekhoucha, R. Chougrani, F. Razik, J.B. Duchemin, L.Houti et al., “Plague reappearance in Algeria after 50 years, 2003,” Emerging Infectious Diseases, Oct 2007. Battle wagons belonging to Ahlu Sunnah wa’l-Jama’a, a Somali Sufi-oriented religious group, burst into the town of Dhusa Mareb (headquarters of the Galgudud region of Central Somalia) on January 29, 2009, driving out a large force of fighters from the Salafist al-Shabaab movement (Shabelle Media Network, January 29). Al-Shabaab returned at night to lob mortar shells at the town’s hospital and residential districts, provoking a major outcry at the group’s tactics (Shabelle Media Network, January 30). In Somalia, al-Shabaab has recently engaged in the destruction of tombs belonging to venerated Sufi “saints.” In early December 2008, al-Shabaab destroyed the tombs of several Sufi shaykhs in Kismayo, together with an unused Roman Catholic church. An al-Shabaab spokesman, Shaykh Hassan Yakub, declared, “We destroyed graves where people used to worship dead people” (Garowe Online, December 9, 2008). On December 26, al-Shabaab members (reportedly including a number of foreign fighters) repeated this act in the Jilib district of Middle Juba region, where they demolished the tombs of Shaykh Nur Hussein and his two sons: “We believe people were worshiping the dead… so we destroyed the graves” (Garowe Online, December 26, 2008). In Sufi-dominated Islamic societies like Somalia it is customary for the graves or tombs of noted Sufi shaykhs to become shrines and even places of pilgrimage for members of the Sufi orders. Salafists like those in the leadership of al-Shabaab condemn this practice as un-Islamic. Since the Salafist followers of Saudi religious reformer Muhammad ibn Abd al-Wahhab vandalized the tomb of the Prophet Muhammad in Medina and destroyed the tomb of his daughter Fatimah in 1803-04, the spread of Salafism in the Muslim world has often been accompanied by similar acts of desecration. By pursuing the demolition of sacred sites, al-Shabaab has succeeded in alienating a large number of Somali Islamists who continue to practice Sufism rather than follow the Salafist trend of al-Shabaab. 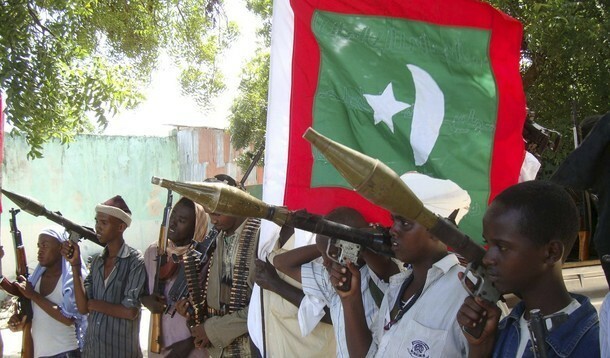 The militants’ efforts were roundly denounced by Shaykh Abdulkadir Somow, a spokesman for Ahlu Sunnah wa’l-Jama’a, and within days the Sufi movement mobilized a group of fighters and joined battle against al-Shabaab just as the latter was on the verge of finalizing their conquest of the country (Garowe Online, December 7, 2008). A spokesman for Ahlu Sunnah wa’l-Jama’a claimed that the group had killed over 50 al-Shabaab fighters and seized a large quantity of military equipment in the fight for Dhusa Mareb. Dozens of young al-Shabaab fighters had been captured: “We are holding over 50 very young youths who have clearly been misguided. We are going to de-brainwash them, cultivate them in Islam. We advise Somali parents whose son is missing to contact us” (Mareeg.com, January 31). The religious organization is battling al-Shabaab in the nearby Guri-El district of Galgudud and has also taken the town of Abudwaq (Somaliweyn, January 29. Mareeg.com, January 10). The ongoing trial in Khartoum North of the alleged assassins of a U.S. diplomat is revealing some of the lethal undercurrents in the continuing struggle between different Islamist factions in the capital. John Granville, an officer with the U.S. Agency for International Development (USAID), and his driver, Abdul Rahman Abbas Rahama, were killed in a rare attack on Western nationals in Khartoum. Returning home from a New Year’s party, Granville and his driver were cut off by another vehicle around 4AM. A gunman opened fire, killing both before fleeing the scene. At first, Sudanese officials insinuated the killer came from the capital’s Western community by stating Granville had been gambling and was seen arguing with another individual before leaving the party. Officials also claimed that a number of cars with diplomatic plates were seen following Granville’s vehicle (Dar al-Hayat, January 1, 2008). The Sudanese Foreign Ministry later suggested Granville became involved in a “street argument” as Sudanese were in the street celebrating the New Year (Sudan Tribune, January 4; AFP, January 4, 2008). An FBI team was sent to Sudan in the days after the murders to assist in the investigation (Reuters, January 5, 2008). The timing of the attack on Granville raised suspicions of government sanction, if not participation, as it came only one day after U.S. President George Bush signed the “Sudan Accountability and Divestment Act,” a bill drafted in response to Khartoum’s alleged genocide in Darfur. Most American businesses were already prohibited from working in Sudan following a 1997 executive order signed by then-President Bill Clinton, but the 2007 bill was seen as the beginning of an expanded sanctions regime against Khartoum (Sudan Tribune, December 31, 2007). At the same time, the close cooperation between the Sudanese intelligence services and the CIA since 9/11 has angered many Sudanese Islamists. According to the chairman of Sudan’s Foreign Affairs Committee, certain extremists “believe we have buckled in to the U.S. and are selling them out” (Los Angeles Times, April 13, 2008). A claim of responsibility from a previously unknown group calling itself Ansar al-Tawhid (Supporters of Monotheism) was issued in the following days (AFP, January 4, 2008). The statement claimed the murders were in response to efforts to humiliate Muslim men, dishonor Muslim women, and raise the cross of Christianity over the Sudan. Another previously unknown group, al-Qaeda in the Land of the Two Niles, also issued a statement claiming to have killed Granville and Rahama as part of its jihad against the United States and its “Crusader and infidel allies” (Al-Sharq al-Awsat, October 12, 2008). The veracity of both claims was disputed by Sudanese authorities and the men on trial are not accused of belonging to either group. Two of the suspects were arrested by security forces after a gunfight in a suburb of Omdurman in February, 2008 (SUNA, February 11, 2008; Reuters, February 11, 2008). Authorities claimed the men were part of the group behind a foiled August 2007 plot to bomb Western embassies in Khartoum. Sudanese security forces reported a plot designed to attack the British, French, and American embassies, but the plotters were arrested after causing an accidental explosion while manufacturing bombs in a house (Al-Sharq al-Awsat, October 12, 2008). A preliminary hearing was held under tight security last August and was attended by U.S. embassy personnel, FBI agents, and members of the U.S Bureau of Diplomatic Security (AFP, August 17, 2008). Supporters of the accused gathered outside, raising clenched fists and flashing “V for victory” signs (Reuters, August 17, 2008). When the hearing resumed on August 31, the shackled defendants entered the court chanting “God is great” before pausing to spit in the faces of two Western female journalists (Reuters, August 31, 2008). The prosecution’s statement alleged that the five men, being misled by Satan into believing their activities were religiously sanctioned, had organized a cell in the northern city of Atbara, where they trained and armed themselves with rifles and handguns. After moving to Omdurman they began scouting possible sites of New Year’s parties that might be attended by Westerners with the intention of attacking them. They were disappointed to find their chosen venues either empty or heavily guarded on New Year’s Eve, so they began driving around, hoping to find a victim on their way home from a party until eventually encountering Granville (Reuters, August 31). Last September chief investigator Police General Abdul Rahim Ahmad Abdullah told the court that the men had scouted American housing in Khartoum as well as plotting to kill a British diplomat in response to British schoolteacher Gilian Gibbons allowing her Khartoum students to name a teddy bear “Muhammad.” The five were also alleged to have planned to join the jihad in Somalia, but decided to initiate their own activities in Sudan (AP, September 11, 2008). In the current session of the trial, three of the five defendants, Muhammad Makkawi Ibrahim Muhammad (a 23-year-old civil engineering student); Abdul Basit al-Hajj Hassan (a 20-year-old trader); and Muhammad Osman Yusuf Muhammad (a 29-year-old ex-Sudan Armed Forces officer still on active service at the time of the killings) claimed that their confessions were made under torture and now refute the charges. “Killing American unbelievers is an honor, but I was not involved in this case,” declared Muhammad Makkawi (Al-Arabiya, January 21; Reuters, January 21). The other two accused are Murad Abdul Rahman (a 35-year-old driver) and Abdul Raouf Abu Zaid Muhammad, a 23-year-old merchant but more importantly the son of the leader of Sudan’s Ansar al-Sunna al-Muhammadiya, a Salafist religious group whose mosques have been the target of bloody assaults by rival Islamists. Ansar al-Sunna is well known for its adversarial relationship with the governing Islamists of the National Congress Party (and its predecessor, the National Islamic Front). Though Ansar al-Sunna tends towards Saudi-style Salafism and advocates the implementation of Shari’a, it opposes the political exploitation of Islam or the violent imposition of Islamic law. For this, it has drawn the ire of Takfir wa’l-Hijra (Renunciation and Exile), a radical Islamist group that conducted attacks on Ansar al-Sunna mosques in Omdurman and Wad Medani in 1994, 1997, and 2000. In the February 1994 incident, five armed men attacked the group’s Omdurman mosque, killing 19 and injuring 26 (Sudan News and Views, May 19, 1994). The government seized the Ansar al-Sunna mosques after the attack and arrested the group’s leader, Shaykh Abu Zaid Muhammad Hamza. The 1996 attack on the group’s Omdurman mosque left 12 dead. In December 2000, 23 members of Ansar al-Sunna were killed and over 40 were wounded in an assault by a lone gunman (Abbas Baqir Abbas) armed with a Kalashnikov assault rifle on the same mosque during evening prayers. The gunman was shot dead during the attack and 60 members of Takfir wa’l-Hijra were arrested afterwards. The Libyan/Tunisian founder of Takfir wa’l-Hijra was executed by the Khartoum regime in 1995. Facing death by hanging if found guilty, the defendants in the Granville case have attacked the Khartoum government, accusing it of encouraging jihadi violence” “They incite people to jihad against the kufar [unbelievers] but when believers are accused of putting the words into action, they get beaten… The regime’s leaders should be in court because they pushed people towards jihad” (AFP, January 21).